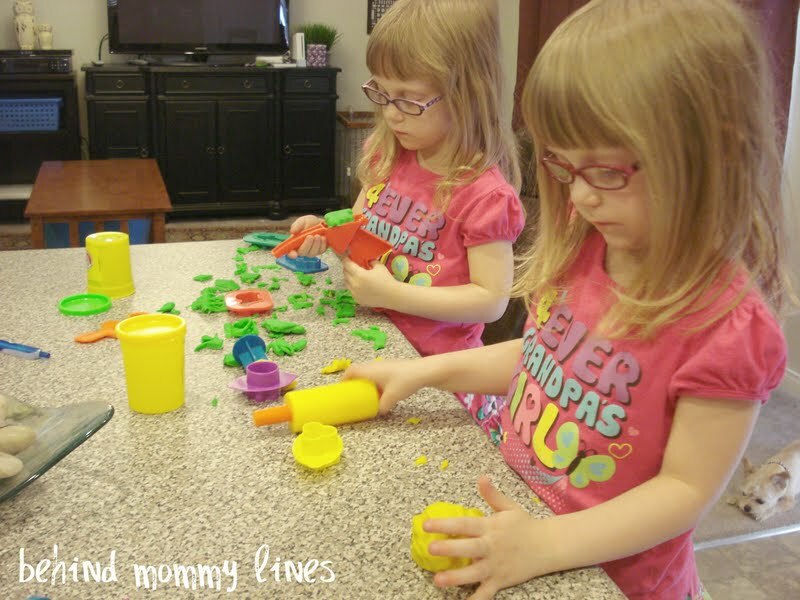 behind mommy lines: Thank You, Play-Doh! Mama just needed a break. From all the sass and whining. Do you also buy random toys because the thought of not having anything specifically entertaining upon returning home makes you cringe? Yes? Please say yes. I don't cave to "I want that Barbie Doll! Noooow!" shenanigans. I just slip a toy in there- any toy really- just have something to look forward to when we get home- ie: SILENCE. Today's impulse buy was a tote bag of Play-Doh and assorted Play-Doh accessories. That little bag is my new favorite thing. Keeps them occupied for HOURS. GLORIOUS HOURS. The only drawback? Little Man thinks it is food (gross) and feels very upset that he is not also being "fed." This problem was remedied by slapping him in a highchair and pouring a mess of Cheerios on the tray. Two birds... one stone. No baby underfoot either? Bliss. I got stuff done after the quick run to Target. Organized under the bathroom sink kind of progress.